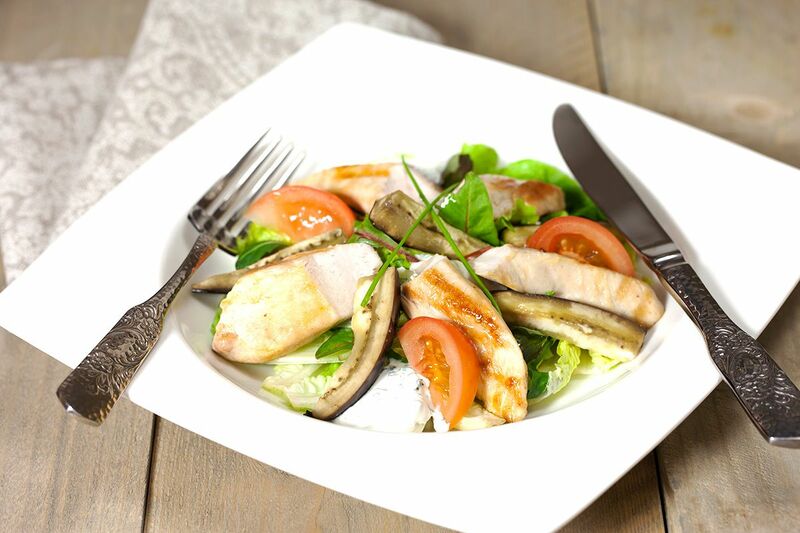 With not a lot of ingredients, you too can make a delicious oven roasted eggplant with chicken salad. Recipe for four people, ready in about half an hour. CUT eggplant in – sort of- fries or strips, drizzle with some olive oil and season with pepper and salt. Make a package of the eggplant using tin foil. CUT the chicken into strips, brush them with olive oil and season with pepper and salt. CUT the tomatoes in quarters and set aside. 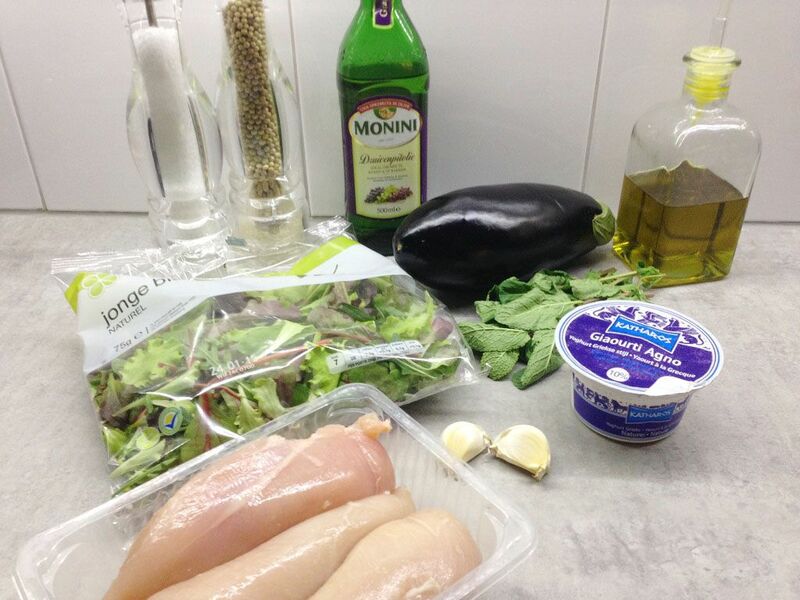 Finely chop the mint leaves and garlic, then mix togerhet with the Greek yoghurt. Bake the eggplant packages for 20 minutes in the oven on 180 degrees celsius or 350 degrees fahrenheit. PLACE the brushed chicken strips on a heated grill and grill a few minutes on each side until they are golden brown. PLACE in the oven for about 10 minutes, check regularly to see if it’s done. 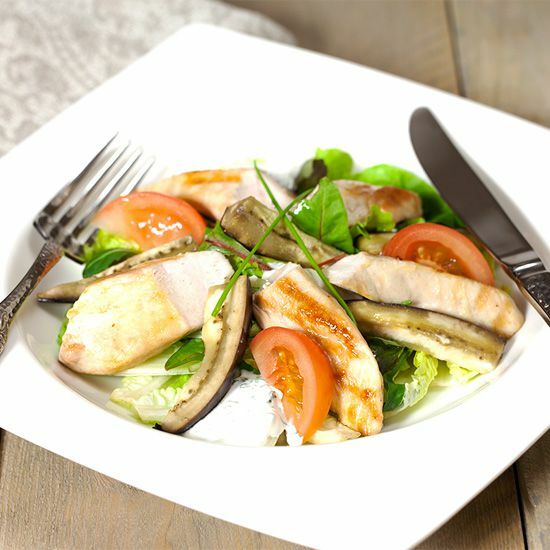 Drizzle the salad with grape seed oil. 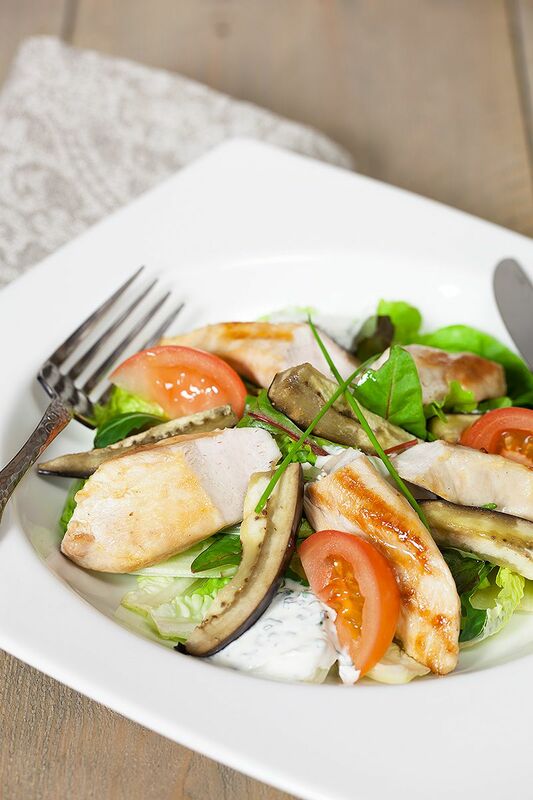 We’ve certainly enjoyed this salad with a nice glass of white wine, though a nice and light red wine will also be suitable.